That’s an apt description of our favorite way to enjoy Italian Roast – just ourselves, two cups, and an afternoon to spare. This coffee gets its distinctive sweetness from the way it is roasted: dark, and darker still. 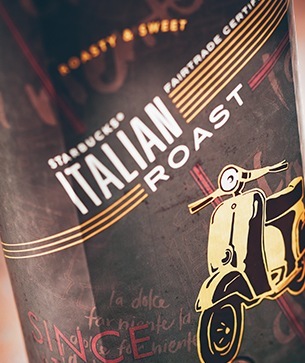 Somewhere beyond the caramel notes of our Espresso Roast but short of the smokiness that identifies our French Roast – that is the sweet spot held by Italian Roast. What is created after the coffee cools is a sturdy and sweet blend, potent and intense. Tiramisu and a slideshow of Rome.